Popcorn seasoned with peanut butter and almond. Hand-popped butterfly corn, mixed with a smooth blend of peanut and almond, perfect for sharing. For us, taste is everything. Take this pack of Peanut Butter & Almond. 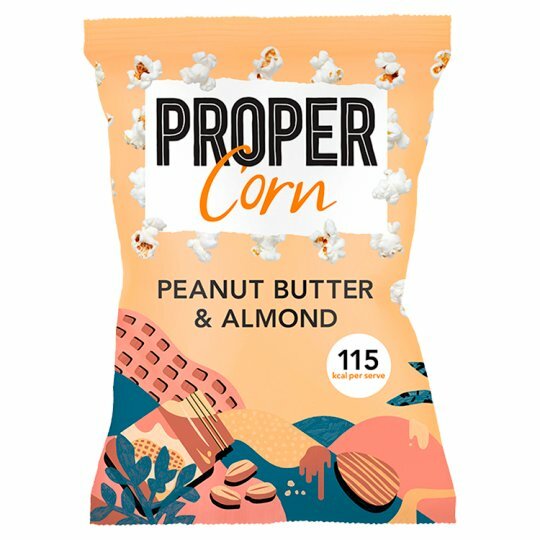 We coat our hand-popped, butterfly corn in a smooth blend of peanuts and almonds, to create a distinctive, nutty flavour.